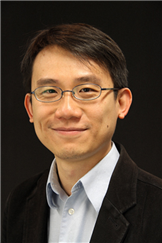 Professor Yang's research efforts are in the areas of novel microscopy development and time-reversal based optical focusing. Prof. Yang joined the California Institute of Technology in 2003. He is a professor in the areas of Electrical Engineering, Bioengineering and Medical Engineering. He has received the NSF Career Award, the Coulter Foundation Early Career Phase I and II Awards, and the NIH Director's New Innovator Award. In 2008 he was named one of Discover Magazine’s ‘20 Best Brains Under 40’. He is a Coulter Fellow, an AIMBE Fellow and an OSA Fellow. High-throughput microscopy - Prof. Yang's group is developing a number of technologies aimed at transforming the conventional microscope into high throughput, automated and cost-effective formats. His group is the pioneer of the first chip-scale microscope system - the optofluidic microscope. The ePetri system was also invented by his group and it represents a cost-effective and highly autonomous way of performing high-content microscopy imaging. His group’s recent invention - Fourier Ptychography, is a computational microscopy method that enables a standard microscope to push past its physical optical limitations to provide gigapixel imaging ability. Time-reversal based optical focusing and imaging - Prof. Yang's group is working on the use of 'time-reversal' techniques to undo the effect of tissue light scattering. This work has the potential to enable greatly improved depth-penetration and resolution improvement for deep tissue optical imaging. It also opens up the possibility for performing incision-less laser surgery and precision cancer therapy.